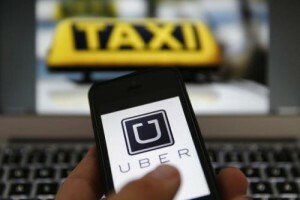 Uber announced on Wednesday that it accomplished task of billion times that people took taxi service. Marvin is the passenger that he became the one who the billionth took the Uber taxi service on Christmas Eve in London. It might be a bit tiresome to consider the billion times as a milestone. However, we could see the impressed growing speed and acceptance of Uber. Uber taxi started offering booking serivce in June 1, 2016 in San Francisco. Its service reached one billion times in five and a half years was impressed. Uber wrote in a blog last December that the company offer one million times bookings each day. The total bookings of 2014 were 140 million times. Now, Uber taxi service was introduced to 300 cities of 68 countries. Uber financing $2.1 billion each month. Its estimated market value reaches $62.5 billion. Uber becomes the most valuable privatedly-owned technology company. To celebrate the billionth time Uber taxi service, Uber would fully sponsor Marvin a vacation to any cities with Uber taxi service. Uber taxi driver Ara was awarded a whole year free Uber taxi service. 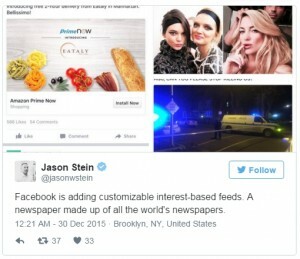 Facebook is now testing a new feature that it allows users to browse different themes of feeds. Such new feature is only available on News Feed. Those different themes of feeds are posted by different users or webpages, such as fashion and travel. It has no sign that News Feed will make any change so far. Such new feature was discovered by Jason Stein, the CEO of Laundry Service. AdWeek reported that Facebook keeps testing the similar features since October. Some users claimed that they could see the “Theme” option to choose ” Food”,”Health and Gym” ,” Animals and Pets” and “Sports” in the sidebar of its website. It did not confirm that whether this feature will be tested on Facebook mobile app. The new feature is in the test phase, it is unsure these feeds promoted in a large scale. General speaking, it will offer trail version for a small group of users to experience the new feature. Facebook considers itself as a network information hub to meet the demands of users that they search online. It carried out some measures so that users could read feeds and shop in the same time, instead of visiting another website. Amazon just revealed its sales performance of 2015 Christmas shopping season. It made another great harvest year. The statistics showed, there were over 3 million users registered Amazon Prime service in the third week of December. The annual fee for Prime service is $99, including 2-day free delivery, free streaming movie and music services. Amazon announced other 100 items’ sales performances. BusinessInsider concluded 9 items of craziest performance. 1. For the voice command that Alexa is built in Echo received, the most frequent demand was “Play Music”. The most popular songs are White Christmas, Sleigh Ride and Winter Wonderland. 2. Alexa helped users to set alarms for 4 million times via voice command to remind them to cook. 3. The kids subscribed a great amount of books via Amazon FreeTime. If they are printed ones, their length could be 10 times of the length of Everest. 4. The cumulative reading time of The Martian via Kindle is 1,000 times of the traveling time for Curiosity Rover that reaches Mars. 5. Users purchased a great amount of Rope Kine Twine on Amazon. The total length could be the distance from Seattle to Los Angeles. 6. The quantities of sticky hooks that users purchased on Amazon amount to the popular of Orlando city. Orlando city center owned 220,000 people according to the data made in 2006. 7. It sold abundant JENGA as well. The assembly heights amount to 70 Empire State Buildings. 8. Jurassic World movie DVD was sold well. Their cumulative heights are 2,700 times of Tyrannosaurus Rex’ height. 9. On Cyber Monday, Amazon sold out one CD of Adele Adkins each three seconds. Tesla Beijing Huamao experience center went on business yesterday. It was the fourth Beijing experience center, the sixth new experience center it set up in China in 2015. Two years ago, Tesla open the first experience center in Parkview Green, Beijing. Until now, Tesla has set up 15 experience centers in China, distributing in Beijing, Shanghai, Shenzhen, Chengdu, Xi’an and Guangzhou. It open six experience centers, service centers, and about 30 authorized car spray centers in 2015. It built the second largest public charging network for Teslar car owners in China. The network covers 46 cities in the mainland, with 320 super charging points. The network area expanded to over 100 cities and 1,600 destination charging points. The charging network connects North and South. As far as the policy concerned, it offered special policy to its car owners for obtaining new energy source plates in Shanghai, Hangzhou, Guangzhou, Shenzhen and Tianjin. While it offered special discount of traffic permit for Tesla Model S in Xi’an and Wuhan. Ricardo Reyes, Tesla’s global vice president claimed that he thought highly of Chinese market when he took an official visit to China in September. He indicated that Chinese government supported the electric vehicle market and the consumers have great demand to the electric vehicles here in comparison to other emerging markets. Take Beijing for example, the goverment carried out the policies that offered bonus to the new energy vehicles.Tesla Model S came to the license-plate lottery on September 30. On October 26, Beijing government announced that the new energy vehicles do not to join the lottery system. The applicants can do the registration for Model S directly. What’s more, other policy indicated that the Blade Electric Vehicels, including Tesla Model S can be on road 24 hours each day in Beijing municipal administrative region from June 1, 2015 to April 10, 2016. Will Alphabet market value exceed Apple’s next year? It has been for a while that many investors predicted Apple could be a great firm values at $1 trillion. Many analyzers assumed Google’s parent firm Alphabet might exceed Apple’s market value next year, becoming the first $1 trillion company. Apple’s market value reached $775 billion early this year, while Alphabet only valued at$366 billion for its market value then. As Android smartphones become more popular in the recent months, iPhone’s sales face much pressure. Apple’s share price started decreasing. Alphabet becomes the most valuable company now. 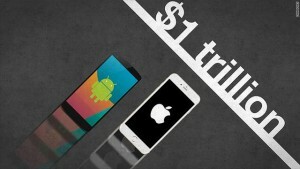 For now, Apple values at $605 billion, and Alphabet values at$527 billion. Even though there is still $80 billion gap between two companies, Alphabet’s market value will exceed Apple’s on the condition that its share increases by 15%. This prediction is on the basis of Apple’s share stops increasing. Alphabet’s share increased by 43% this year, while Apple’s decreased by 2%. Alphabet’s subordinated business Google Search becomes prosperous, especially on mobile devices. What’s more, Google is making more profit with YouTube. The experts analyzed that the profit growth of Alphabet will perform better than Apple’s. Wallstreet predicted that the growth rate of each Alphabet will be 17% in a few years. Its annual growth rate will reach 12%. The competition between these two companies is intense. It is possible that they will both become $1 trillion companies. Amazon and Facebook also develop well. Microsoft’s market value reached $450 billion. 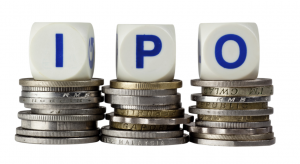 Will employees benefit if the startups become listed companies? Box is a firm offering online file sharing. Jeff Sutton is in charge of its IT group. Its employees increased from 50 to 1,000 within 4 years. Jeff Sutton once worked for IBM. His annual salary was $95,000. He was supposed to earn more with his 10 years’ working experience in system management. He quit as he took the share option, amounting to 21,000 shares. Box became a listed company in the early of 2015. Sutton’s option seemed brightness. Its share price increased by 66% in the first day in the New York Stock Exchange. It increased from $14 to $23.33. According to the employees lock-up agreement, Sutton could not sell his shares within 180 days. The stock value decreased by 20% in comparison to its ceiling price. Its current share price is $13 which is under the issue price. He might earn $350,000 before taxes. However, this was not the unexperted fortune he wished to change his life. He spent four years in Box that he supposed to be in Silicon Valley. Square became a listed comapny in November. Its share was at $9. A former Sqaure exployee said the internal share price was $16 when she got the stock option. Her supervisor told her each share would be increased to $50 when it came to season. In fact, the Sqaure share valued at $12 on December 16. Sutton left Box and worked for BrightRoll. He became a manager for Instacart when BrightRoll was acquired by Yaoo. The Christmas holiday is upcoming. German Verdi called on the logistics center staffs of Amazon to go on strike for salary raise and working condition improvements on December 22, 2015. This is the third time that Verdi called on strikes in a row before the Christmas holiday comes. Amazon boycotted Verdi strike calls. It announced that the firm provided favorable indemnification agreement for its employees. It insisted that the strike won’t affect the holiday shopping in the aspect of packing and delivery. 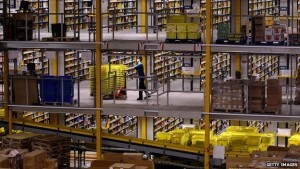 Amazon owns 9 logistics centers and 10,000 full-time employees in Germany. Besides, it hired 10,000 seasonal employees in order to deal with the great amount of orders during the shopping holidays. 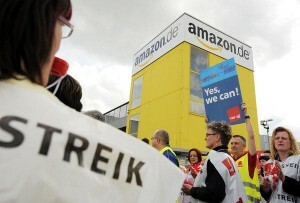 Amazon claimed that only several hundred employees from 6 logistics centers joined the strike on Monday. However, Verdi confirmed that there were about 1,700 employees attended the strike. It has 29 logistics centers and about 30,000 employees in the continent of European. The employees become extremely busy when the shopping boom seasons come. It will hire thousands of casual laborers to deal with the emergency. Verdi is encouraging the Amazon employees to go on strike till Christmas Eve. Verdi criticized Amazon for asking for its employees to work on Sunday during the boom season. Amazon’s share price increased by 115% this year. It becomes the most valuable retailer in the world. The investors are excited for its positive user growth. It was criticized by the public for poor working condition and imbalance between work and personal life among the employees. The music streaming medias face much competition. Apple and Google are working hard to surpass Spotify and Pandora. 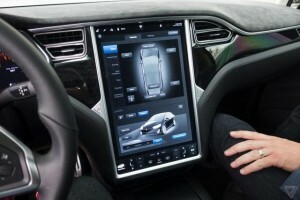 Spotify and Tesla Motor Inc teamed up to promote Spotify service in Tesla electric cars. From December 22, the users who own Model S, Model X from Europe, Australia or Hong Kong will enjoy free Spotify monthly music service. It used to charge $10 each month. Tesla has upgraded its car firmware and implant Spotify service. The car owners can also enjoy Spotify service even though they are unregistered users. The British Daily Telegraph reported that the Spotify is binding to Tesla electronic car one for one. It will be unable to access on laptops or other devices. Tesla teamed up with Rdio for car music service for a long time. However, Rdio announced to bankrupt lately due to the intense competition in music streaming media field. Some of Rdio valuable assets were acquired by Pandaro. Tesla decided to choose Spotify for its new music service partner. The Spotify service in Tesla electronic cars will be ads free. The car owners can opt the Spotify service with the help of built-in car infortainment system. To Spotify, it is a good chance to team up with Tesla. Spotify is the music streaming service provider that ranks in second in the world. Apple is promoting its Apple Music on iOS devices. Its followers are running after Spotify’s. It is not the first time that Spotify teams up with car manufacturers. It cooperated with BMW, Ford, Mini and so on. It is reported that Tesla won’t charge car owners for the Internet expense caused by Spotify music service. The publisher of RF, ParkerVision that comes from Florida submitted the application to ITC and Florida regional court to prosecute Apple, Samsung, LG and Qualcomm Incorporated as they infringed its wireless networking patent. ParkerVision claimed that the wireless receivers made by Qualcomm and Samsung violated its wireless networking patent. 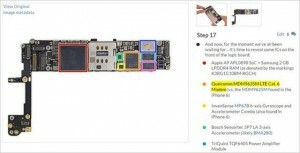 Apple, Samsung and LG all apply the infringed Qualcomm chips for their mobile devices. The Sahnnon 928 RF reciever which is made by Samsung will be further checked as well. The involved patents inlcude No.6879817,No.7929638, No.8571135 and No9118528. They are related to the wireless radio frequency technology and its applications usage. ParkerVision respectively sues Qualcomm and Samsung concern the patent infringement. ParkerVision sued Qualcomm in 2011 for the first time, but it could not prove the evidence. In 2013, the Jury of Florida court ruled Qualcomm infringed ParkerVision’s patent and fined $173 million, but this judgment was objective later. In the document ParkerVision submitted, it asked for prohibiting to export those infringed products to overseas. The involved Apple products are iPhone 6, iPhone 6, iPad Air 2 and other products. ParkerVision is a listed company that established in 1989 and it specializes in designing wireless chips. Most of its revenue is from the technology licensing business. The infringement damages its advantage in this industry, so it has to appeal to the court. ParkerVision’s future seems to be negative. It only signed one contract in the first three quarters this year. The revenue only has $55 million. The current 3D Touch is only compatible with iPhone 6s and iPhone 6s Plus. The iPad users are discontented with this, especially for those who bought iPad Pro or iPad mini 4. Due to the difference of screen sizes, iPad series do not support 3D Touch sound reasonable. The key is how long we need to wait for a compatible 3D Touch for iPad. AppleInsider posted an exclusive report today and indicated the confirmed source provided that Apple is now studying an advanced 3D Touch technology that supports all screen sizes on iOS devices. It is reproted that the new 3D Touch will be able to apply on iPhone, iPad, iPad mini and iPad Pro. It suggested that the current 3D Touch technology on iPhone 6s is hard to apply on bigger mobile screen. The performance and features of the “advanced 3D Touch” has not much difference from the current one. It mainly syncs to integrate on iPhone and iPad screens. The report claimed that iPad users need to wait for while to experience the 3D Touch. It won’t be realized until the release of iPhone 7. 3D Touch is the selling point for iPhone 6s &6s Plus. The ads for iPhone 6s mentioned this selling point every now and then. Besides iPhone 6s series, Apple Watch and MacBook have alike function as 3D Touch does. KGI analyst reported that iPad Air 3 will be released next March, but it won’t match with 3D Touch either.